More signage fun at Topsail Island. Here's a local Waves store with "Nothing Over $5.99" advertised. Apparently, the mix & match swimsuits aren't included. 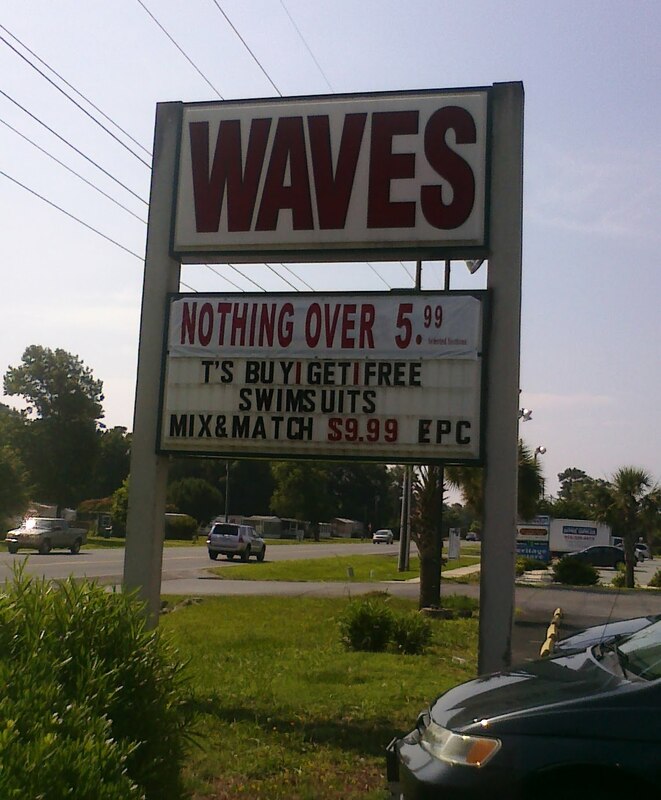 This is the same Waves I saw last year, and apparently they're still hoping that folks won't notice their teeny tiny "selected sections" qualifier underneath the "$5.99" price.